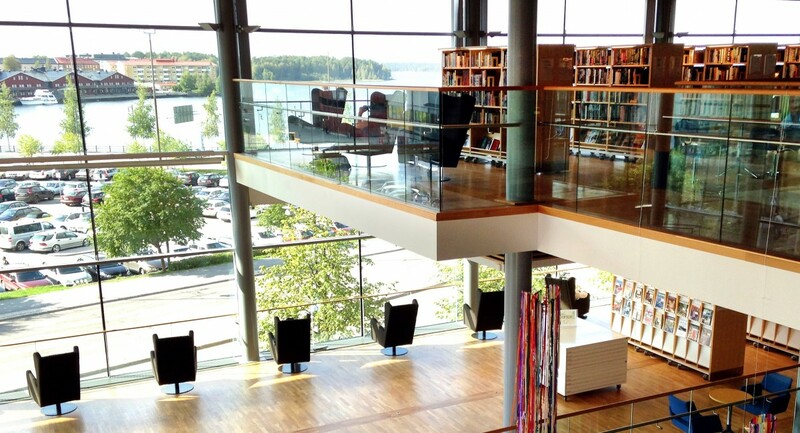 Welcome to our library with one of the best view of Luleå. For sure, the library is books. But also so much more. A window to the world, the history, present and future. Simply lots of exciting experiences that awaits you. Lulea City Library is for you. e-books, movies, and CDs. Or why not visit bookcafées, participate in game tournaments and read newspapers from Sweden and the world. On the ground floor there is also a section where local artists take turns to exhibit their artwork. For our younger visitors we have a nice children’s library with a large selection of children’s literature and a lovely fairytale cave that you can crawl into. Experiences and encounters. But also peace and quiet. The library is a place for encounters with other people, stories and experiences. There is also the possibility of seclusion. For example, we have study places where you can study in peace and quiet. And if you want to borrow a computer with internet access that is also fine.